How many of these have you accidentally picked up trying to get Blackout, or vice versa? Chewie is in our spotlight today with his Duro Pilot!! I am always blown away by how incredible Chewie's customs are and to top it all off, he's doing his part by entering it in our contest!! Click here to check out our other entries in our Customs for a Cause contest!!! Sometimes, unfortunately, life hits us hard. 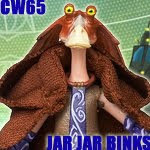 Especially after a break and you go back to school and reviews get left in the dust...is Jar Jar Binks new enough? sithfire_30 is in our spotlight today with one of the versions he made of Darth Malgus!! I can not begin to express how awesome I think his work is, so I'm just going to leave it at "WOW!" Click here to check out his fantastic work! 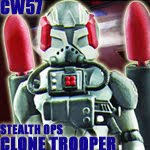 In the near future watch for each of his completed figures to be spotlighted!! A huge thanks to our friends! As you know, we're making quite an effort to promote our charity customizing contest, Customs for a Cause, which aims to raise money for ROAR Charity (Rwandan Orphans Assistance Response). We'd like to thank our friends from other sites who have helped us spread the word about the contest. Last week we thanked our friends at Yakface for being to first to post the details on their front page. Now the great people at Jedi Temple Archives, Sandtroopers, Imperial Shipyards, Dark Empire Radio, Customs for the Kid, and the Sarlacc Pit podcast have also informed their readers about Customs for a Cause. Please click here to check out our full press release and share it with your friends or website readers! 1st Annual Star Wars Music Video Festival continues! Our friend Chris from the Sarlacc Pit podcast has passed along the following press release about the 1st Annual Star Wars Music Video Festival. Read on for the latest update about the festival ceremony. Help Wanted! Calling all Star Wars fans! We are excited to announce that a few staff positions have opened up at Echo Base News! Click here to head on over to our Facebook page for all of the details, and please let us know as soon as possible if you're interested. 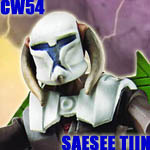 The latest release of Saesee Tiin, this time in animated format, has got some interesting accessories including a wonderful nod to the original 2003 Star Wars: Clone Wars micro-series. Is he a must-have for your collection? Read on and find out in our latest review! 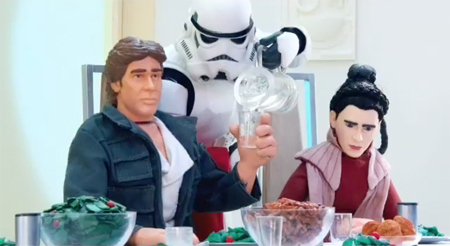 Happy Thanksgiving from all of us at Echo Base News. Have a safe and fun holiday and may the Force be with you! 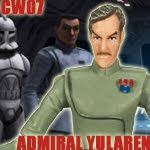 Click here for an exciting update from our sponsor BigBadToyStore.com, including details about their Black Friday sale! This year, Echo Base News has conducted dozens of interviews with celebrities, fans, and artists from the Star Wars universe! Click here to check out our updated interviews page, and look for some of our older interviews from earlier this year to be added to the list soon. Be sure to share your favorite EBN interviews with friends on Facebook, too! The Force is with us on Facebook! Are you following us on Facebook? We're aiming for 1,000 "likes" by the end of the year. 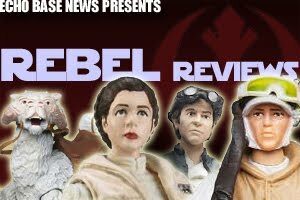 All kinds of cool Star Wars content that doesn't make the front page here is posted over on our Facebook page in addition to all our regular features, so please click here to check it out and "like" us today! Also be sure to stay tuned for some exciting giveaways that are coming up soon. Something's fishy! 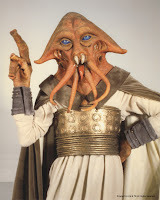 With all the attention the Mon Calamari and the Quarrens received in the first few episodes of Season 4 of The Clone Wars, reporter Jim Slowes recently interviewed actor Gerald Home about his experience portraying both the Quarren Tessek and a Mon Calamari Officer in Return of the Jedi, and what he's been up to since then. Click here to check it out! Not sure why this week turned into "Figures that Can't Stand Week", but I guess it sure did! 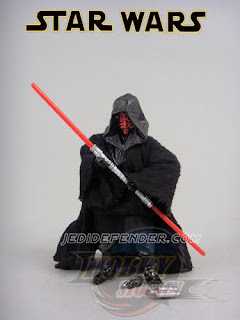 I think this is one of the few figures where the accessories overshadow the figure. Why? Find out! 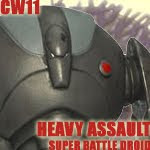 Darth Optimus is in our spotlight today with his Old Republic Mandalorian called Haik Vhett, Boba Fett's ancestor. Click here to check out some more of his work, he's got some fantastic stuff!! While your there, welcome him to the forums! Our friend Kathy passes along a press release about the upcoming charity helmet auctions that will benefit Princess Leah. For more details about this exciting project that will support an important cause, please read on. 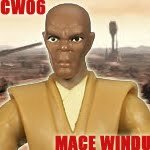 Click here for an exciting update from our sponsor ManofActionFigures.com! And after checking out their great selection of all the coolest new Star Wars products, be sure to use the following coupon code during checkout for 10% off: "echobase10off"
Jedi Defender has a cool gallery of loose figures from the Vintage Collection! 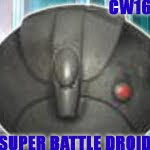 Sandtroopers has one more gallery for us featuring Deluxe Packs, Battle Packs and miscellaneous other items! Freedom410 is in our spotlight today with his entry to Customs for a Cause, his take on Revan in honor the new Revan novel by Drew Karpyshyn. 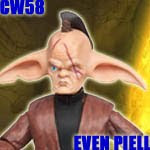 Click here to see more pics, and while your there, why not enter a custom figure in our contest! Its for a good cause!! I just wanted to pass along word that I sighted two figures on Revenge of the Jedi cards last night at Target; Luke Skywalker (Endor Capture) and Stormtrooper. I snapped a picture on my cellphone. 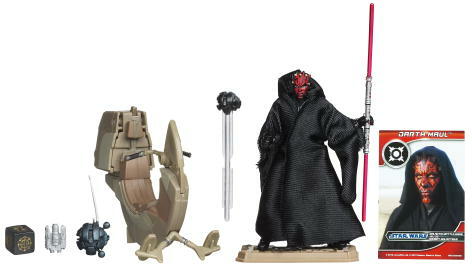 These seem to be hitting, so be sure to keep your eyes out for these new chase figures! Happy hunting! Remember when we thought we were done with late night reviews? We did, too. 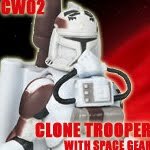 Sandtroopers has posted some great photo galleries which include images of upcoming releases in The Vintage Collection, The Clone Wars, and Movie Heroes lines. 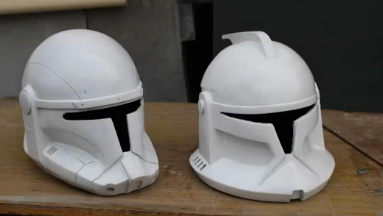 Click here to head over to Sandtroopers and check them out. We tried something a little different for this Q&A session by posting the answers on the Echo Base News Facebook page. Check it out here and be sure to "like" us on Facebook if you haven't already! 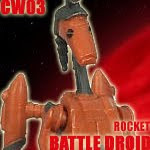 Echo Base News Reviews - CW03 Rocket Battle Droid! 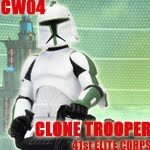 The Clone Wars line is filled with exciting figures, but this one is not one. :( Find out why! 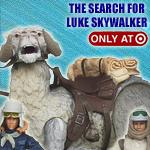 Today Echo Base News reviews The Search for Luke Skywalker, which is pretty much the best exclusive since last year's Hoth themed Ultimate Battle Packs. And if you haven't already heard, this new Tauntaun is awesome. The pack-in figures are pretty great too. Read on to see if this is a set worth securing for your collection. Spoiler alert: It totally is. ghostskull18 is in our spotlight today with his first entry in our Customs for a Cause contest!! Here is his "what if" Revan had a daughter. Click here to check out the other entries and while your there, submit your own customs!! Who likes Clone Troopers? Because of terrible distribution to my area, looks like we're moving back into the red card line. We'd like to give a HUGE thanks to our good friends at Yakface, who have helped us spread the word about Customs for a Cause by announcing it to their readers. If you'd like to help us spread the word about Custom for a Cause to your friends or website readers, please click here and share the link. You can also re-post it on Facebook or Twitter with the click of a button. For those who haven't heard about it yet, Customs for a Cause is a customizing contest going on in our forums which is supporting ROAR (Rwandan Orphans Assistance Response), the charity run by actress Lily Nyamwasa (Jedi Master Stass Allie from Attack of the Clones). For every entry we receive, Echo Base News will be donating $1 to the charity. There will also be a charity customs auction at a later date which will also support ROAR. Once again, thanks Yakface for helping us spread the word! 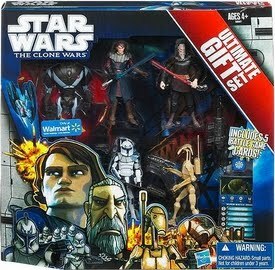 Clone Wars Ultimate Gift Set Surfaces! The Wal-Mart exclusive Ultimate Gift Set has surfaced on CMDStore! Is $10 a pop worth it to you? Now that we've basically covered the entire Shadows of the Dark Side line, we're gonna start making our way into repack valley! Well, Customs for a Cause kicked off today and darth_sidious led the charge with his first entry, Master Di from Season 3 of The Clone Wars. Click here to check out contest page! Can't wait for more entries! !